From assessment of existing water supplies to researching the cost of water from other sources, and designing treatment, storage, pumping and distribution systems, our team is here to help. We are sensitive to our surroundings because this is our home. Every project creates an impact on our community beyond the use of the land. We understand this and use life-cycle thinking in all engineering activities. Drinking water storage facilities, GSTs, and ESTs are critical in all water systems for optimal system performance. Our team can help with location, sizing, maintenance, and operation. From delivering water infrastructure to advising on natural catchments, we consider commercial, economic, environmental, and social implications. Our experience includes infrastructure design, flood mitigation, sustainable water management, water strategies and research. We bring more than 35 years of expertise and public service management to our approach and design of water systems. Our experience includes modeling of existing systems, rate structure analysis, pipeline booster station and storage tank design, SCADA systems and management. Whether it involves drainage issues or watershed management, H&H models and evaluations are an important design tool in watershed and drainage projects. We can help in defining and simulating anticipated water movement prior to major construction activities. Sometimes you need more than good engineering design. We understand how local government works—our team includes water and wastewater operators and our management personnel have previous public service as director of public works and city management. From water rights to master planning to SCADA design, our team has the hands-on experience you need. We ensure a project’s success by meeting expectations. By managing risks and controlling costs, our team can focus on achieving results while monitoring the ongoing details. We focus on improving schedule performance, controlling, and reducing costs, minimizing risks, and ensuring quality. We are committed to finding solutions to meet all requirements without sacrificing quality. From initiation of the project through design development, to funding sources, we are dedicated to an efficient management process for the overall project, not just one task. 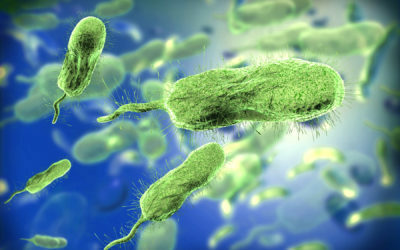 EPA has issued a compliance order to all states requiring routine monitoring of Total Coliforms (TC) and E.coli (EC) levels in the public drinking water system. The mandate from EPA was revised and referred to as Revised Total Coliform Rule (RTCR) 78 FR 10269, February 13, 2013, Vol. 78, No. 30.